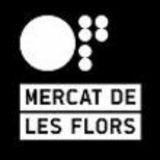 Opened in 1985 as a municipal theatre, the Mercat de les Flors became and continues to be a major venue for the performing arts in general in Barcelona. Today, though, over twenty years after its inauguration, it is also considered a key centre for research, production, creation and diffusion in the field of dance and the movement arts. It boasts three spaces with uninterrupted programming: the Sala Maria Aurèlia Capmany, the Sala Ovidi Montllor, and the Sala Sebastià Gasch, which accommodates small-scale activities.